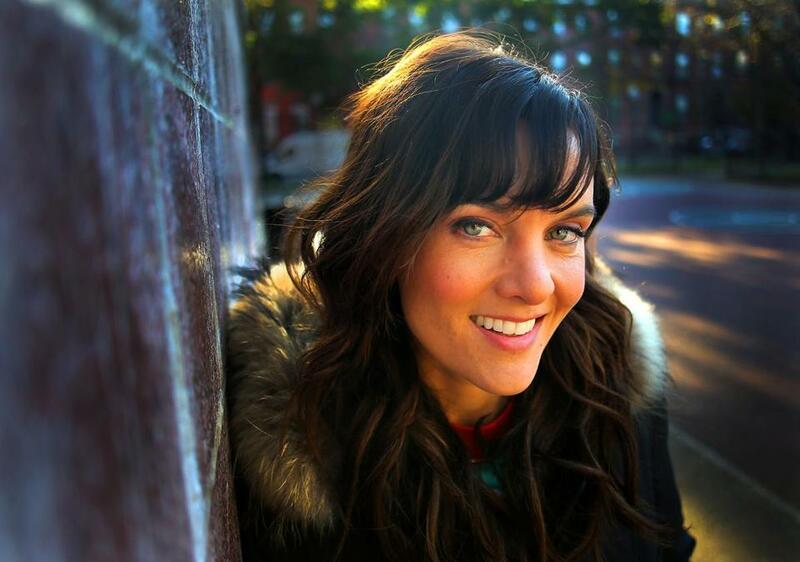 “SMILF” creator/star Frankie Shaw was at the Somerville Theatre Thursday night to premiere the first two episodes of her Boston-set Showtime dramedy’s second season. Fans of the series, about a single mom from Southie, queued outside of the free event to reserve seats at the 900-capacity venue, which came close to filling up. More than 50 in attendance had in some way contributed to the series; actress Nhadya Salomon and executive story editor Zach Strauss, Shaw’s husband, were among those the showrunner specifically highlighted while thanking her largely local, 50 percent female crew. Rolling cameras around Boston presented fresh opportunities and challenges for the series, Shaw noted. Finding a church where “SMILF” could shoot scenes for the season’s first episode was particularly complicated, she said; many turned them away. “We were coming down to it, but this one very lovely church [Newton’s Grace Episcopal Church] said, ‘We’re not saying no, but you need to come in and tell us why and who you are,’” Shaw told the crowd. “And we talked with them for almost two hours about how it’s easy to secure locations in Boston if you’re a gangster movie or have murder in your movie, but not if you’re a TV show called ‘SMILF.’” Afterward, Shaw and other crew members prayed with board members as they asked for God’s guidance in the decision; they ended up getting the church’s blessing. Shaw eventually accepted the gift (for free, at Wells’ insistence) and hung around for photos with other fans. She later made an appearance at a post-screening reception, at the nearby Foundry on Elm. Though she was scheduled to attend, costar Rosie O’Donnell did not; Shaw apologized on her behalf, saying — appropriately enough — “she had to do some mommying tonight,” an explanation with which no real “SMILF” fan could possibly take issue. Isaac Feldberg can be reached at isaac.feldberg@globe.comor on Twitter at @isaacfeldberg.